Before using BeeCut, you can configure settings based on your preference. 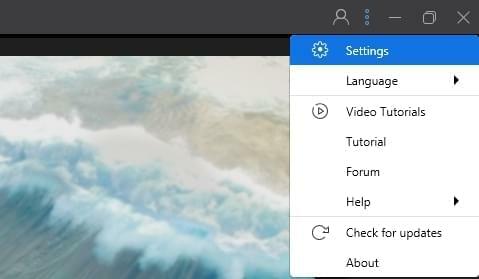 Click "Settings" on the top right corner of its main interface to open it. 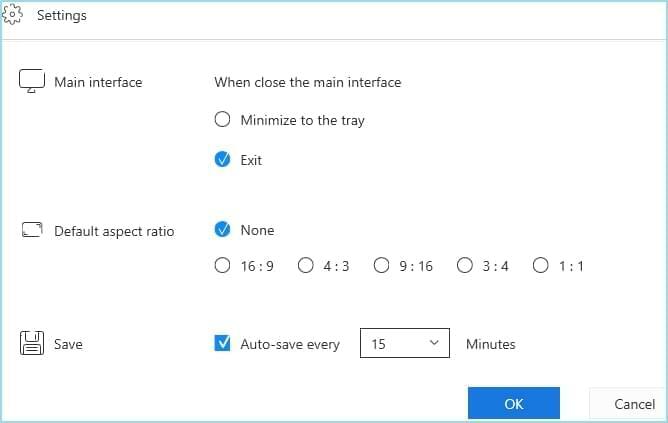 You can set status when close main interface, default aspect ratio and time for saving project automatically.